Travelers are in Destine beach. This is unique sea beach where natural habitats are found near to the human. 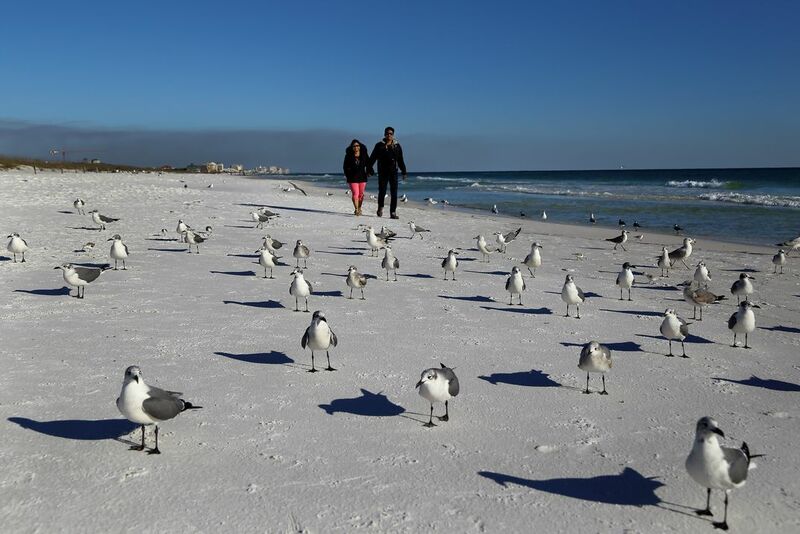 One couple was coming through a gang of Seagulls.It's like birds are providing the guard of honor to them. Date Uploaded: Sept. 24, 2016, 12:03 a.m.